I have visited more than 10 Chinese cities in my nearly 30 trips to China. I liked interacting with the local communities every time I arrived in a new place, during which I was deeply impressed by the elements of inclusiveness and harmony contained in Chinese culture while maintaining diversity. Such inclusiveness and harmony are reflected in every aspect, including China’s interaction with the world. Over the past 40-plus years, China has made incredible accomplishments in the economic arena. At the same time it witnessed comprehensive and historical changes in the society, with advances being made in every field. With increasing comprehensive national strength, the country is playing a more important role in regional and international affairs. Belt and Road initiative is a reflection of Chinese willingness to share development opportunities with the world, which indicates the confidence and sense of responsibility of a major country. In my opinion, inclusiveness and harmony are the essence of Chinese wisdom. They not only serve as a cultural factor that propels China’s social advances and development, but also are a reason for the popularity of the Belt and Road Initiative (BRI) in many countries. People of insight across the world, envisioned by the BRI, are aware that global challenges require all the people to seek shared development by treating each other as equals, beefing up coordination and making good use of resources. The BRI, which encourages all countries to realize peaceful co-existence and common development through more inclusive and harmonious cooperation, sets a great example for the world. By proposing the BRI and building of a community with a shared future for mankind, China has contributed new solutions to global governance by following a principle of mutual benefit and win-win result. Harmony and development are complementary to each other in Chinese philosophy. The BRI underlines the inseparable relationship between national and regional development, in a belief that every country makes contribution to regional stability by its own development, and in turn, regional stability will provide guarantee for the economic and social development of individual countries, as well as the mutually beneficial cooperation among them. 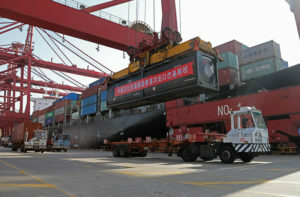 During the past five years, the BRI has started improving the connectivity among the countries along the route, and thus bringing closer the people from different countries and regions. It will be facilitating win-win economic and trade cooperation, and will also be creating substantial opportunities for progress in more developing countries. The China-Pakistan Economic Corridor (CPEC) is a very good testimony. As an important pivot linking the land and maritime silk roads, the CPEC has reaped abundant harvests. A batch of infrastructure projects have facilitated the life of Pakistani residents after they were completed and put into operation. 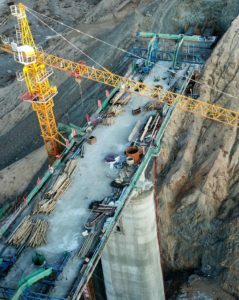 The construction of the CPEC has also increased the connectivity between Pakistan and the region, and in a long run, it will fully unleash the economic potential of the region and boost their trade. Indeed, the BRI is making tangible contribution to regional prosperity and stability.